For years Lukas Maria Kuen has maintained a sterling reputation as a versatile pianist and chamber music partner of leading musicians. Since 2010 he has been a member of the Bavarian Radio Symphony Orchestra and held a teaching position at Munich University of Music and Theatre. It was also in Munich that he finished his studies in master-classes with Michael Schäfer (piano) and Helmut Deutsch (lied accompaniment). Whether as an orchestral musician, a soloist or in various chamber ensembles, his concerts have taken him all over the world. Another major focus of his career falls on his teaching activities, including master-classes. In January 2015 he appeared as a soloist in Munich’s Prince Regent’s Theatre with the Bavarian RSO under the baton of Mariss Jansons. Two years later he was awarded a young artist’s prize from the Cultural Foundation of his native Erlangen. 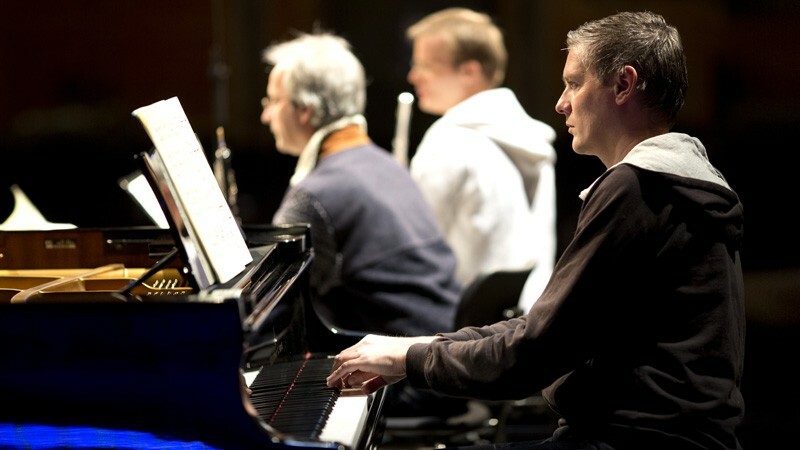 He is also a member of the Kubelik Ensemble, which consists of musicians from the Bavarian RSO. Particularly as an accompanist and chamber musician he has won a number of first prizes at international competitions. His many CD recordings (including some with violinist Anna Sophie Dauenhauer) and radio recordings bear eloquent witness to his wide-ranging repertoire.